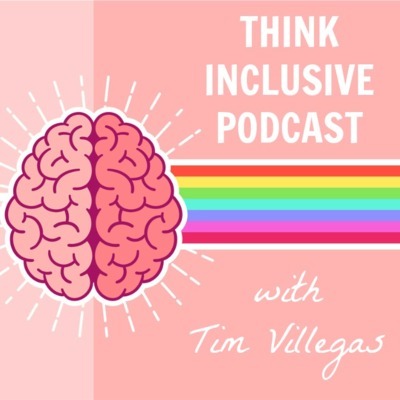 The Think Inclusive Podcast features interviews and commentary with thought leaders in inclusive education and community advocacy. Today on the podcast, our first guest of the new season is Lou Brown, co-founder of TASH (an organization that advocates for human rights and inclusion for people with significant disabilities and support needs) and Professor Emeritus at the University of Wisconsin. We discuss what supports for students with significant disabilities looked like before 1975 and the progress that we have made since then. On this, our 7th season of the Think Inclusive Podcast, we will explore why, despite three decades of research that inclusive education produces better outcomes for people with and without disabilities, and a rich history of case law that interprets inclusion as a right, not a privilege for a select few, the promise of inclusion continues to be a struggle for students and their families. We will hear from school administrators, researchers, editors, and many more voices from disabled advocates, educators, parents and other stakeholders who desire to see a more inclusive world. Go to thinkinclusive.us/podcasts to subscribe or wherever you listen to podcasts. Don’t miss an episode. Do you like to play with your food? Of course you do! Today on the podcast we have Marci Heit, the founder of QD Foodie (qdfoodie.com), an innovative company that has produced a fantastic set of kitchen tools created with people of all abilities in mind. Learn the origins of this Kickstarter success story. 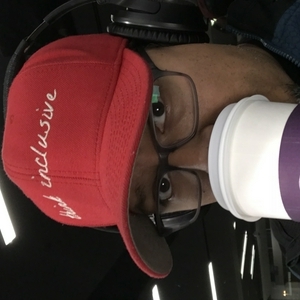 Q of the Week: What is the biggest barrier to inclusion? We started something new this week and almost none of you knew about it. Our (slightly) failed experiment only strengthened our resolve. We want to hear from YOU (our podcast listeners)! What do you think is the biggest barrier to inclusion? Also, if you are brave enough to answer, what is your dream for inclusion? To leave us a message call (470) 315-0912 and we may use your voicemail on a future podcast. Don't be shy. We love that you download, listen, and share with your closest friends. Have a great week! Today on the podcast we have paraeducator/blogger Renay Marquez. We talk about the story of her starting ParaEducate and resources to help paraeducators modify curriculum in inclusive classroom. We also talk about what steps educators can take to help move inclusion forward wherever they are. Today on the podcast we have filmmaker Jen Tennican. We talk to her about her most recent project, Hearts of Glass, which she sees as an opportunity to raise awareness about local, sustainable food production and the need for inclusive, fair-paying job opportunities for adults with intellectual and developmental disabilities. Today we have Annette Jett, the executive director of the non-profit Build Inclusion that provider of employment services in the state of Kentucky. We talk about what Pre-Employment Transition Services are and how you might be able to access them in your state. This interview is full of helpful tips about transition services so you might want to take notes. Today we have special education teacher Beckett Haight. We talk about his experience with differentiation and inclusion as an educator working on three different continents. We also discuss his recent TedX Talk, "Teaching Every Student CompSci or How to Code is Not the Answer." Today we have acclaimed filmmaker Dan Habib. We talk about his new film Intelligent Lives, a documentary that highlights the lives of people with intellectual disabilities that will make you rethink the very nature of how we measure intelligence. Today we have Nikki Heiman from MyCreativeInclusion.com. We talk about the biggest barriers to inclusive practices in schools today. We also discuss what has been the most effective strategy for helping change educators' mindsets about inclusion. Today we have Amanda Morin from the National Center for Learning Disabilities and the amazing online resource Understood.org. We talk about the transition back to school for students with disabilities. We also discuss strategies parents can use during IEP meetings when it is recommended for their child to move to a more restrictive setting. Today we have Paula Kluth, nationally recognized author and speaker on the topic of inclusive education and autism. We talk about her latest book, Universal Design Daily, and how educators can learn to plan for all students by changing their mindset. Today we have Kristin Wiens, an educator from British Columbia Canada and creator of Northstar Paths, a resource that has stop-motion animation and other beautiful visuals to help educators understand students with disabilities. We talk about the creation of Northstar Paths and what is next for Kristin and her outstanding illustrations. Today we have Noah Jack, a musician on the autism spectrum. We talk about the release of his new single, Neighborhood, from his upcoming EP, All In The Family. Today we have Dr. Rob Horner, Director of the Technical Assistance Center on Positive Behavioral Interventions and Supports. We talk about the history of PBIS and the somewhat controversial foundation in Applied Behavioral Analysis. Today we have speaker, marathoner, and author of two books, Zachary Fenell. The first, Off-Balanced, a memoir about what it was like growing up and living with Cerebral Palsy as well as a Rock Realities, a compilation of 13 interviews he did with indie and alternative rock musicians. We discuss his most recent endeavor, completing a marathon and all the challenges that came up for him being a person with cerebral palsy. Today we have John Spencer, speaker and author of Empower and Launch, entertaining and practical books that help us to rethink how we deliver content and engage students in the learning process. We talk about what it looks like to help students own their learning, including students with disabilities. Today we have Arielle Hobbs, founder of the Lion League, a fantastic organization that is changing how we build inclusive schools around the United States. We talk about what inclusion looks like in her family and how the Lion League is different from other "social inclusion" organizations. Today we have Emily and Kyle from the Accessible Stall Podcast (which if you are going to listen to any other podcast related to inclusion and disability - this is the one!) They keep it real about issues within the disability community. We talk about how and why they started The Accessible Stall. Also, we have a very interesting conversation about inclusive versus isolated special education schools and classrooms. Today we interview Julia Bascom, Executive Director of the Autistic Self Advocacy Network. We talk about Autism Awareness...or is it Autism Acceptance?? Also, we travel 20 years into the future to talk about what Julia envisions for our world and autistic people. Today you will hear two edited interviews that I did from almost a year ago. The first is with Audri Gomez and Aja McKee, educators that have had experience in the classroom as well in teacher training. They give a unique perspective on how we can prepare teachers who are about to enter into the field of special education and also highlight what a degree in Disability Studies looks like. My second interview is with a Middle School teacher who works here in the Atlanta Metro Area. Her book SPED is about a fictional character, Jack Parker, as he navigates the complexities of having learning disabilities in 8th grade and being in special education. Today I will be speaking with Russ Ewell; the CEO of Digital Scribbler, Founder of Hope Technology Group which started Hope Technology School (a nationally recognized full-inclusion school and Founder of E-Soccer, an all-volunteer inclusive soccer program. Russ and I discuss the beginnings E-Soccer and how for all intents and purposes it happened by accident. We also talk about how sports programs can become more inclusive when everyone has the right attitude and gets training on how to be proactive instead of reactive. Russ even makes me blush near the end of the interview so make sure to listen to the entire podcast. Today I will be speaking with Dr. Julie N Causton, an associate professor in the Department of Teaching and Leadership at Syracuse University and creator of the website Inspire Inclusion which includes a ten-part video series about inclusion for parents of children with disabilities. I had the pleasure of visiting with her one evening in November of last year. Julie and I discuss what the necessary steps for schools to become more inclusive which include, professional development, re-imagining school district's service delivery model, and using the law as leverage for systems change. This is one of the most interesting conversations on the podcast to date so please (if you can) listen to the entire episode. #7 Dan Habib | Who Cares About Kelsey? Today I will be speaking with Dan Habib about his new film Who Cares About Kelsey? **You may be familiar with Dan because of his previous groundbreaking documentary about his son "Including Samuel"** The film will be broadcast on public television beginning the weekend of September 28th. In addition to the film there are 11 mini-films available to watch on the website: WhoCaresAboutKelsey.com that support the message of inclusion and positive behavior support. Dan and I talk about Positive Behavioral Interventions and Supports, the importance of leadership in systems change and the all-important question...who we think is going to win the World Series? Today I will be speaking with Ariane Zurcher, a Huffington Post blogger as well as creator of the blog Emma's Hope Book, a chronicle of sorts about her autistic daughter. She is one of the leading voices in the autism community and I had the pleasure of visiting with her one evening in June. Ariane and I discuss what it was like to go from knowing nothing about autism when her daughter was first diagnosed to being such a strong advocate for the autistic community. We briefly talk about inclusion and what that looks like in her family. #5 Paula Kluth | Don't We Already Do Inclusion? Today I will be speaking with Paula Kluth, an internationally renowned author and speak about inclusive education. Her books are some of my favorite resources and I am constantly recommending her work to my colleagues. A little confession about this recording...it was recorded in May and I am finally getting around to editing it. It has been a very busy summer with vacations and me being home with the kids. My littlest one just turned one and my wife and I are coming up on our 10th wedding anniversary. Anyways...during our conversation...Paula and I discuss whether reverse inclusion can be a stepping stone to authentic inclusion, we also discuss ways educators can promote inclusion at their local schools, as well as if technology in the classroom is all that it is cracked up to be. Today I will be speaking with Marvin, Sharon and Dana Fialco...authors of the Starabella book series. Starabella is a new series of books about a very courageous little girl with learning differences who expresses her thoughts and feelings through music. The books are based on the real life experiences of Marvin and Sharon's daughter, Tara who exhibited a surprising musical talent when she was very young but would later present perplexing challenges. Not able at the time to get a diagnosis, they were left with a mystery. Tara would not be diagnosed with autism until she turned 21. Tara, now an adult, went on to earn a degree in Early Childhood Education. The Fialco's and I discuss what is was like to observe Tara's amazing musical talent and how she developed her voice through melodies and lyrics. Today I will be speaking with Nicole Eredics…co-host of the Inclusive Class Podcast on BlogTalkRadio.com. Nicole spent many years as a classroom teacher in British Columbia, Canada in a fully inclusive educational system before moving to the US a few years ago. Nicole and I discuss the differences between the Canadian and US educational system and their approaches to inclusion. We also talk about the most important ally for inclusion that a classroom teacher can have.